The most fun and easy way to be musical! 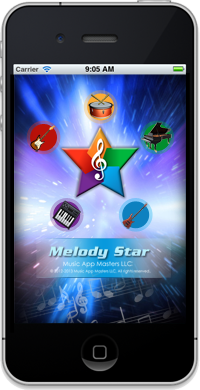 Express Your Own Musical Talent With Melody Star! Once there was a little star flying through space. Everything was empty and quiet. So the star decided to liven things up by playing music. Now you can make the universe a better place by taking Melody Star wherever you go!